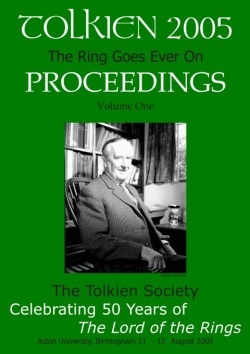 On Saturday June 13th, prior to our Opening Address during our Conference Welcome remarks we will be presenting Baruch College Library staff with the “The Ring Goes Ever On: Tolkien 2005 Conference Proceedings.” This 2 Volume set is a part of the “Tolkien to the World,” Program established by the Tolkien Society UK. This program, detailed below, is a very important global program and we are humbled to have a small part in it. 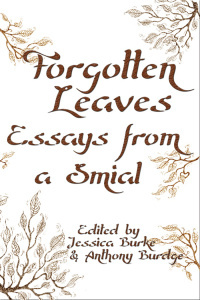 What is Tolkien to the World? Tolkien to the World was founded in 2003 as a programme to provide the works of J.R.R. Tolkien to schools and libraries in the less-developed world. Our aim is “to work towards a situation where everyone in the world has access to Tolkien’s principal works of fiction“. Over the next few years we (Tolkien Society) aim to spend thousands of pounds on delivering books to libraries across the world – if you would like to contribute to spreading Tolkien around the world please donate now (please put Tolkien to the World in the message box). In Europe, North America, Australiasia, and Japan the works of J.R.R. Tolkien are widely available. The books are available from most – if not all – major bookshops either in English and/or translated into the local language. In most of these countries the prices are within reach of a large proportion of the population. In addition, most major public libraries will have copies of at least The Hobbit and The Lord of the Rings available for loan, and those libraries that don’t will be able to find copies through local inter-library loan systems on request. Especially in the English-speaking areas, many school and university libraries will also hold copies of the books. However in much of Africa, Asia, South America and the Pacific books can be very expensive for ordinary people, schools and libraries. Funds for public libraries are limited and will often be focused on more “useful” books or books by local authors. Where libraries have been stocked during colonial times the literature may be concentrated on traditionally classic authors (Shakespeare and the Brontë sisters, for example). We believe that Tolkien is the greatest author that humanity has produced: his works are vibrant, engaging, deep and colourful. We want to give everyone the opportunity to experience and enjoy Tolkien’s works: Tolkien to the World will help us to share Tolkien’s works of fiction with peoples around the globe.